Gates Carbon Drive: Grease-Free. Rust-Free. Hassle-Free. Proven. 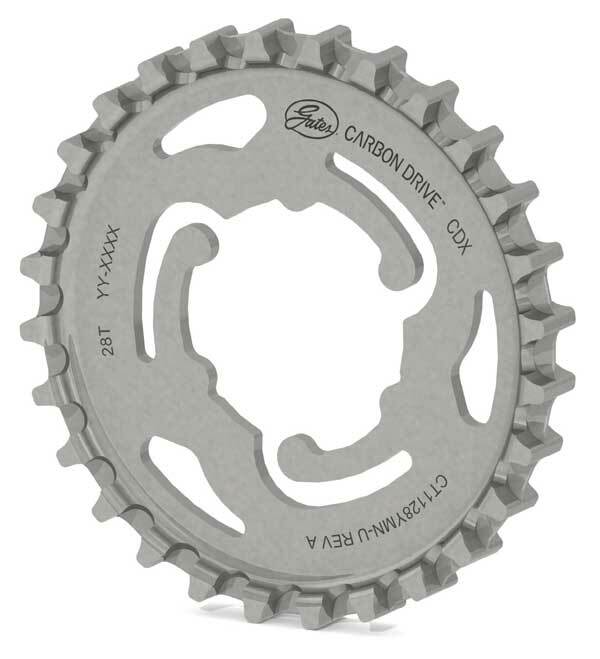 Gates introduced Carbon Drive in 2007 after years of R&D and extreme testing. 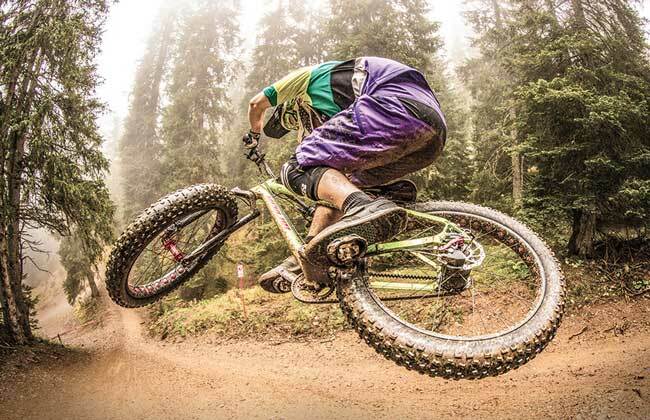 While other companies use standard industrial belts, Gates Carbon Drive is optimized for bikes and is designed and manufactured specifically for bicycles only. In short, there is nothing else like it on the market. Gates Carbon Drive replaces greasy and dirty chains with a carbon fiber reinforced belt that never rusts, never stretches and never needs lubrication. By reducing bike maintenance, Gates Carbon Drive makes it easier for people to ride more with less worry. Gates Carbon Drive is named for the advanced carbon fiber tensile cords that give our belts their high strength—surpassing ISO chain standards. Carbon fiber has an incredible strength-to-weight ratio that makes our belts as strong as steel but at a fraction of the weight. Unlike chains, our belts never stretch. We pair this belt technology with our patented CenterTrack sprockets, providing industry leading durability. Gates Carbon Drive is the award-winning bicycle belt drive system from Gates Corporation, a global leader in belt drive technologies. Launched a decade ago, Gates Carbon Drive is the premium drivetrain for modern pedal and electric bikes. Gates Carbon Drive™ is race-proven on the World Cup Downhill circuit and UCI-approved for elite BMX racing. It has also powered mountain, cyclocross, fixed gear and BMX racers to podium finishes. Our belts have also powered global adventures, expeditions and bike tours through some of the planet’s most extreme conditions, from the Sahara to the Amazon to the Arctic, Himalayas and Andes. Clearly, it’s strong enough for cross-town commuting. More than 500 bike brands around the world use Gates Carbon Drive, making it the industry standard for quality, performance, service and support. 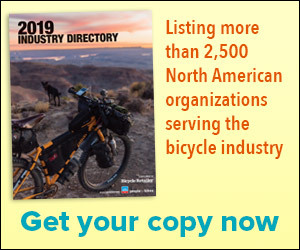 In North America, these brands include Canyon, Marin, BMC, Breezer, REI/Co-Op, Tern, Riese & Muller, Bulls, Pegasus, Focus, Faraday, Montague, Co-Motion, Pure and more. If your shop includes commuter and electric bike models from these brands, get some Gates belt drive models on your showroom floor. 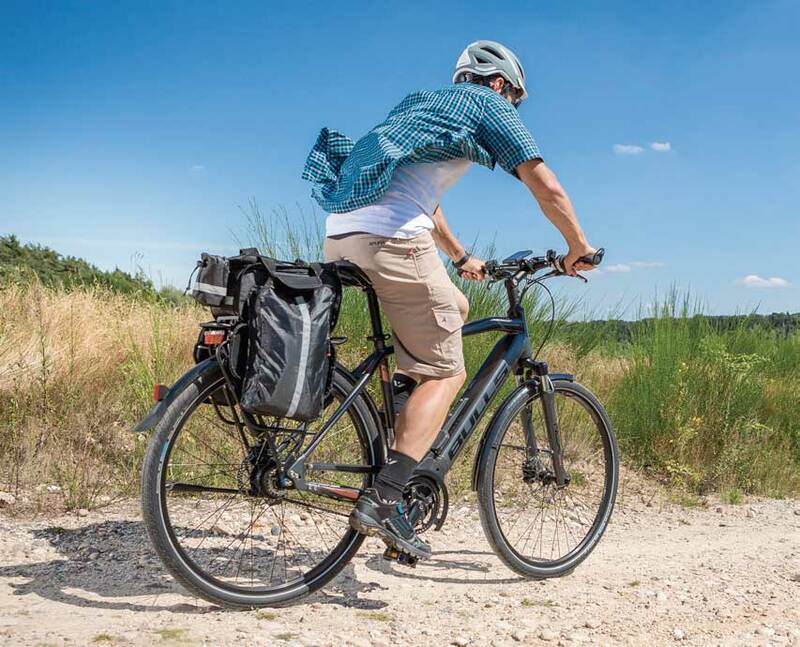 Gates Carbon Drive is used on everything from BMX to cargo to tandem to mountain and cyclocross bikes, but it is on commuter and electric bikes where our technology truly excels. Commuter bikes and eBikes are made for getting from A to B. 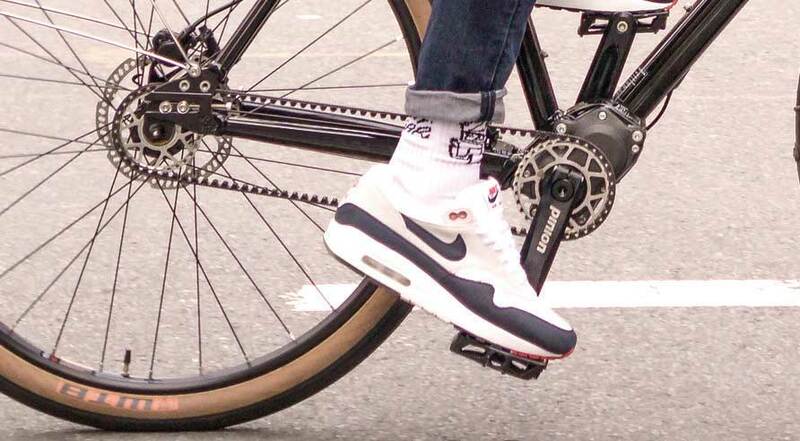 Nobody wants to work on a chain before pedaling to work. That’s why premium electric bike brands including Riese & Muller, Bulls, Faraday, Electra, Perego and more use Gates Carbon Drive on their top models. Gates has partnered with all the leading internally geared hub and gearbox systems to create clean, durable and low-maintenance drivetrains. Gates is the North American distributor for Pinion, the gearbox technology with a massive 636% range and a five-year warranty. Visit GatesCarbonDrive.com/BRAIN to download our dealer and consumer brochures, get links to instructional videos and sign up for our eNewsletters and new product alerts. It’s time to get belted. Gates Carbon Drive belts are extremely durable and built to offer a long life when properly handled. Caution must be used before and during installation to avoid damaging the carbon tensile cords. 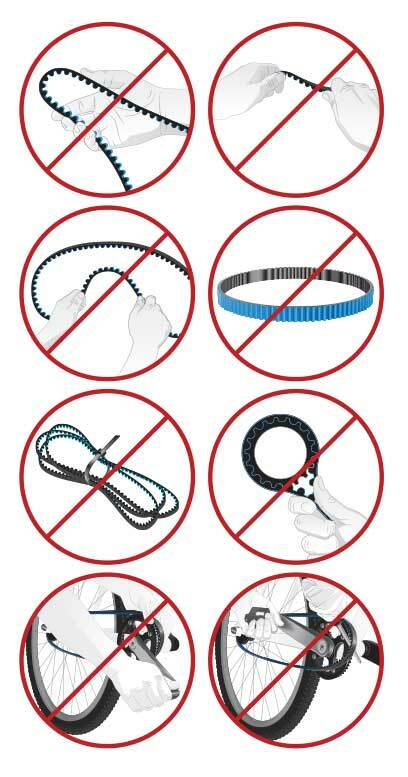 Do not crimp, twist, backbend, invert, bundle or zip tie the belt. Do not use the belt as a strap wrench or chain whip. Do not roll on or pry on the belt. Improper installation, adjustment, alteration, service or maintenance can result in property damage and serious bodily injury, including death.